PARIS--(BUSINESS WIRE)--ESI Group, leading innovator in Virtual Prototyping software and services for manufacturing industries, announces the release of ESI PAM-COMPOSITES 2017. The latest version of this leading process simulation software for manufacture of composites, addresses fiber reinforced structural and semi-structural components and multi-material thermoformed acoustic and cosmetic interior parts and trim for vehicles and aircraft. Process and design engineers, be they in the automotive or aeronautic sectors, must create lightweight, strong and durable composite components that will meet all quality requirements at an affordable cost. With PAM-COMPOSITES 2017, they can create a simulated part that matches the exact nature of the composite material, improve process stability, and reduce manufacturing defects for a vast range of composites types and manufacturing processes. While past improvements to the software focused on continuous fiber reinforced composite parts with high structural performance expectations, PAM-COMPOSITES 2017 targets the thermoformed acoustic and cosmetic multi-material components typically used in automobile and aircraft interiors. This new version gives users the ability to accurately determine the noise and vibration response (NVH or Noise, Vibration & Harshness) of the manufactured product by predicting the stiffness and thickness in each location of the formed part. Typical defects, such as tearing and skin texture modifications induced during manufacturing, can also be anticipated and corrected through simulation. This cost-effective solution enables process and design engineers to evaluate the manufacturing of composite parts even more accurately and to reduce time consuming and expensive physical trials. Also new in PAM-COMPOSITES 2017, the solution now includes a grid tracing tool that allows engineers to analyze the length variation on each segment of the grid as they would do on physical prototypes. Moreover, the new element elimination functionality allows the visualization of physical holes or fiber separations generated during the thermoforming of composite products. PAM-COMPOSITES 2017 is dedicated to supporting automotive and aircraft interior designers and process engineers who, thanks to its process-oriented graphical interface, no longer need to be experts in finite element analysis. 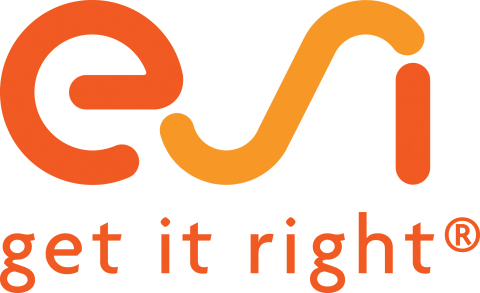 ESI is a French company listed in compartment B of NYSE Euronext Paris. Present in more than 40 countries, and addressing every major industrial sector, ESI Group employs about 1200 high-level specialists around the world and reported annual sales of €141 million in 2016. For more information, please visit www.esi-group.com.